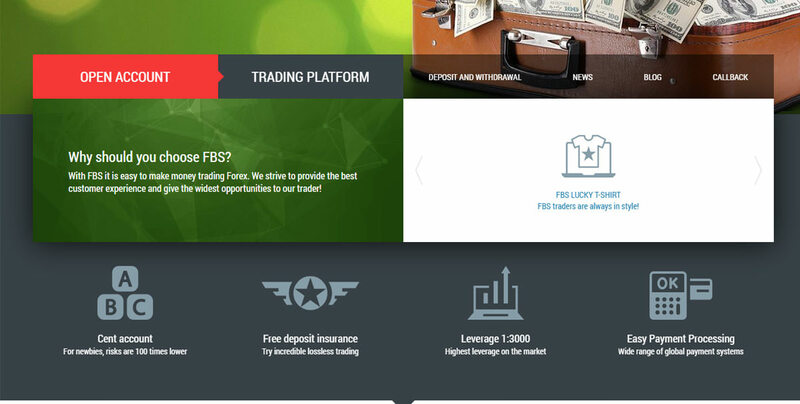 FBS is Founded in 2009, an STP and ECN international forex brokerage house. Online trading services of forex, CFD’s and precious metals to traders specializes actually and from all over the globe. The trademark FBS is owned by FBS Markets Inc. (Reg. no 119717), Tradestone Limited (353534). Parallax Incorporated (VC0100). The former forex broker entered the world of Forex back in 2009, so can be considered well-versed in the Forex world. FBS brokerage nowadays offering their traders 40+ trading pairs: 35 currency pairs, 4 metals and 2 CFD. FBS was. FBS has received some good international awards, proving its worth to the customers. The brokerage firm achieved the titles of the Best International Forex Broker, Best FX Broker Indonesia, Best FX IB Program, Best Forex Broker Southeast Asia and Best Forex Broker in Thailand and an award for the good task for people, such as houses reconstruction restoration of a damaged road and for the rural area issued by the Government of Indonesia in 2017. They have achieved also Best broker in Asia-Pacific region 2015, Best Forex Brand, Asia 2015, Best broker in the Middle East, Best Customer Service Broker Asia 2016, Best Safety of Client Funds Asia 2015, and Top IB Program 2016. Highly Recommended Forex broker company for Indonesian traders. On the FBS trading platform you can trade with currency pairs. Also their customers have 2 another types of instruments to trade with. They includes indices/stocks, and precious metals. 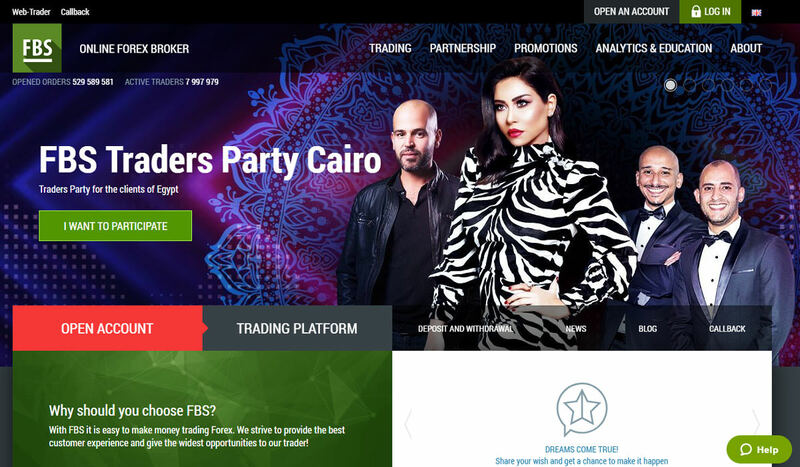 Likewise other top forex brokerage, FBS has provided well-known and reliable forex trading platforms such as the MetaTrader 4 and the MetaTrader 5 for their consumers, to ensure them to enjoy their trading without troubles. The METATRADER is often considered the online trading industry standard trading platform since it is adopted by the majority of the FX brokers in the industry. The demand for the MT4 trading platform comes from the fact that it is user friendly and highly customizable. In addition, it is about with a variety of trading tools such as a comprehensive planning package and dozens of technical indicators. However, the MT4 is quite well known among traders because of its ability to support programmed trading through the use of Expert Advisors. Apart from the MT4, FBS has also made available the more recent version of the MetaTrader FX trading platform, the Mt4 5. The MetaTrader 5 comes with all the features of the MT4 but revamped to deliver better efficiency. It features more technical indicators and an increased script and expert consultant. To put it briefly, it is an improved version of the MT4. FBS has also provided its clients with the mobile-optimized editions of the MetaTrader 4 and MetaTrader 5 trading platforms. These mobile trading software are suitable for Android and iOS powered devices and have practically all the powerful features of the desktop version. To down load the mobile trading programs, that can be done so on Yahoo Play Store and Apple's App Store. FBS recently became a member of the ranks of FX and CFDs brokers that are offering crypto trading services to their clients. Currently, FBS offer crypto trading service for 4 many types of cryptocurrencies such as Bitcoin, DASH, Ethereum, and LiteCoin. These cryptocurrencies are available for trading through CFDs on both FOREX TRADING PLATFORM and MT5 trade websites. There are numerous benefits associated with trading cryptocurrencies with CFDs. First of all, because you are not dealing with the actual physical asset, the required investment amount is much smaller. Minimum, you can trade with as min as $10 on each position. With FBS cryptocurrency CFDs, you can also leverage your deals up to a power ratio of 1: 3. But most importantly of all, with FBS crypto trading services, your cryptocurrency investments will never face of being stolen by hackers as you do not own any crypto coins at all. In contrast to those who are trading cryptocurrencies on the cryptocurrency exchanges, they face the risk of having their investments stolen by cyber criminals. Available for trading 24 hours a day, cryptos trading at FBS give you a much more useful and secure way of investing in the profitable cryptocurrency market. Only zero spread consideration and ECN account are subjected to any percentage charges for the applicable commission charges. For the Nil spread account, the fee charges start from 20 dollars. With all the ECN account, the commission charges start from 6. The spreads also rely upon the sort of trading bank account. They are broken into flying or fixed spread. The fixed spread is merely appropriate to the Micro and Zero Spread account with the minimum spread starting from zero pip. Pertaining to floating spread, the nominal applicable spread starts from a minimum of -1 pip for the ECN BROKER account. For floating advances accounts besides the ECN BROKER account, the minimum pass on starts from a bare minimum 0. 2 pip. To give you an idea of the sort of spreads that you might be required to shoulder, the stand below shows some of the typical spreads a regular account holder will face. FBS is currently 6 different types of trading accounts for their clients to fulfill their demands. Note, The account types and terms are subjects to changes according to FBS. When you've funded an accounts with $10000, and dealt 50 lots, you are invited to become a VIP client at FBS, which has certain advantages. 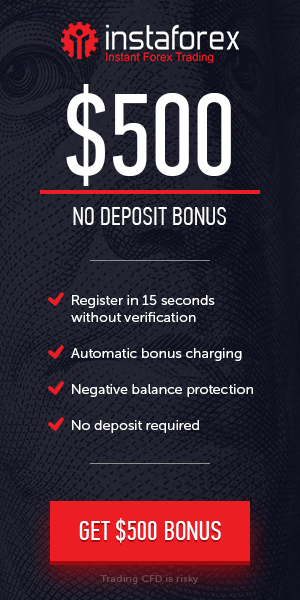 Such as priority in processing withdrawals, payout requests, your own supporting manager, VIP gifts, and a VIP client record. We should also informed you about that FBS offers a demo account, which is often a brilliant way to get started on a Forex career. Trading under market conditions but only using virtual money - With plenty of opportunities to find out about FX trading, as well as test out various strategies. Trading accounts at brokerage FBS can be deposited or withdrawal money for their consumers is available with a wide selection of payment methods supported by the broker. These methods include major credit cards, eWallets and bank wire transfer methods. Funds can be credited in USD or EUR and THB (Thai baths) as the account currency for Thailand, and all the most common payment methods are supported. These include debit and credit cards, bank wire transfers, NETELLER, Skrill, OK PAY, CashU, PerfectMoney and Bitcoin. Wire Transfer fee is 30 € and minimum amount to withdrawal is USD 1,000. Usually their minimum withdrawal amount is $1. Depending on the payment method used, the withdrawal time takes around 15 minutes or it can take up to 2 days. The consumer support service at FBS is provided on twenty-four hours a day 7 days a week basis. Clients could also contact an FBS consultant by phone to several international numbers or need a call back from the website. It is additionally available in 19 different dialects such as available in Arabic, Chinese, English, Indonesian, Malay, Korean, Thai, Thai, Spanish, Portuguese, French, Japanese people, Urdu, Lao, Bangla, European, Burmese, German, French, and Italian. For traders in China, Egypt, Indonesia, Korea, Malaysia, Myanmar and Asia, localized support services are available to them. To make contact with customer support at FBS, You are able to send an e-mail to the company's support team, chat and telephone or request a callback. The choice of different trading accounts in FBS including a practicing demo account, is commendable and the use of the MT4, MT5, Multi-Terminal and Web-Trading platforms offers something for everybody. The wide range of companies services made available from the broker ensures that they are able to fulfill the trading needs of most dealers. While they are only regulated by the Belize IFSC, the numerous prizes won by FBS over time have shown that they will be a serious broker. Regardless of whether the first is a newbie trader or an experienced trader, there is something that you can be at FBS. FBS holds a monthly “Dreams Come true” contest, which is a charitable project aimed on helping people get one thing that can change their life for the better. Participants need to share their most sincere and original wish on FBS Facebook page. There are no restrictions for the wish except for one thing: they’re not supposed to ask for money. Every month, FBS team picks the most touching and life-changing dream and makes it come true. Over the years, the company gave away motorbikes, gadgets for trading, domestic appliances, a romantic trip, and even a cow. Participation is free of charge – even for those who are not FBS clients yet. The contest has been on for years now and attracts lots of people from month to month.